Yoga paired with beer may seem like a stretch, but local instructor Jackelin Treviño promises it can be fun. “It is going to be a really light and playful practice,” Treviño said about the yoga and beer sessions that are a part of the International Museum of Arts & Science’s Beers and Brunch event Sunday in McAllen. Treviño said participants will be interacting with the beer cans. Yes, you will be drinking while performing yoga poses. And, as soon as you hear “Namaste,” you can rush over to the food trucks to take care of that appetite you worked up. And have even more craft beer if you like. Beers and Brunch takes place the morning after the IMAS’ A Night at the Brew-seum, a fundraiser in which visitors will be able to try an array of craft beer and food and enjoy live music from country recording artists The Powell Brothers. The left-over beer from Saturday is then sold for $3 from noon to 4 p.m. Sunday on the museum grounds. There will also be food trucks to make for a brunch-oriented, family friendly event. This year, organizers added beer and yoga sessions to the mix, joining a growing trend of pairing the two. If you think about it, people drink beer for similar reasons they take up yoga — for relaxation and stress relief. No one is sure how the pairing got started, but it first became popular in Germany. “If you are a person who likes craft beer and likes to have a good time, this session would be good for you,” Treviño said. The yoga instructor, however, warns against drinking during every practice. Yoga will be free and open to anyone willing to give it a try. Yoga can be daunting for beginners, but a cold craft beer could be a perfect motivation for a novice to get through a session. And it’s for a good cause. All the proceeds from both Saturday and Sunday go to the museum. 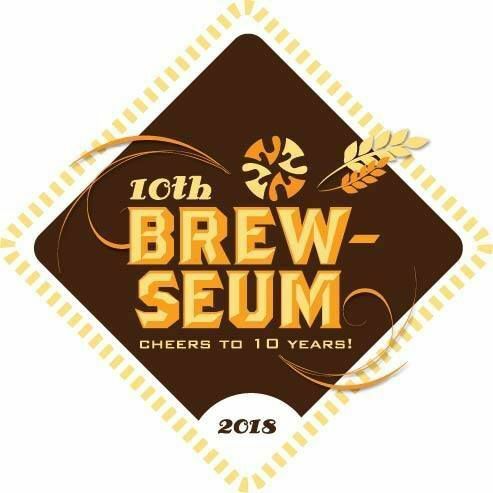 Brew-seum is the museum’s second largest fundraiser and is celebrating its 10th anniversary. Brew and Brunch is free to attend Sunday. There are still tickets available for Saturday’s 10th annual Night at the Brew-seum. For tickets and information, call (956) 681-2800.